Avalon presents Aztec Two-Step featuring Rex Fowler & Friends! Originating from a chance meeting in 1971 at a Boston coffeehouse open mic night, Aztec Two-Step burst on the scene in 1972 with their self-titled debut album on Elektra Records. This and their three subsequent albums for RCA Records made the band staples of progressive FM radio and college radio, helping to usher the folk-rock music of the ‘60s into the 1970s and beyond. Rex and Neal went on to spend a lifetime making music together. After 47 years, Neal has made the decision to retire following the passing of his wife, and he and Rex have wholeheartedly agreed that the ATS legacy should be carried forward into a new era. 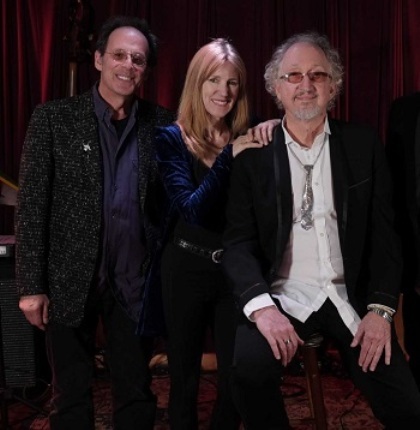 Rex, his new wife Dodie Pettit (electric and acoustic guitars, keyboards, vocals), and Steven “Muddy” Roues (bass guitar) have been embracing the Aztec Two-Step catalog in a way that’s often reminiscent of the early ATS live and studio arrangements.